Jay White made his pro debut in September 2013, before attending the December 2014 NJPW tryout, and joining the Dojo in January 2015. That same month he had his first New Japan match, opposite Alex Shelley. From there he gathered a following for his dedication when training, and his use of spectacular missile dropkicks and cross body attacks. Much like his mentor Prince Devitt, White was a foreigner who Japanese fans flocked to as one of the New Japan Dojo’s own. In June 2016, after a match at Osaka Jo Hall on the Dominion card, White announced his excursion, and headed to America to wrestle for ROH. After a series of disturbing vignettes aired through the summer of 2017, White returned at Power Struggle that November. Now under the nickname of the Switchblade, White was reborn as a cold hearted master manipulator. While unsuccessful in his redebut opposite Hiroshi Tanahashi at Wrestle Kingdom 12, White immediately showed his propensity for human chess, joining CHAOS and maneuvering himself into an IWGP US Championship match with Kenny Omega. His challenge was successful, and White became the second US Champion. He was no team player for CHAOS though, and his attitude to his teammates ranged from cool to outright aggressive. After beating CHAOS leader Kazuchika Okada in controversial fashion during the G1 Climax, White seemed intent on striking out on his own. At Destruction 2018, White assaulted Okada after his grueling match with Hiroshi Tanahashi. The Switchblade wasn’t acting alone, as Okada’s father figure Gedo would stab his charge in the back and declare the beginning of a ‘New Era’. That New Era saw White as the leader of the Bullet Club, his defection starting a chain reaction of events that saw once fierce rivals Okada and Tanahashi team with one another. 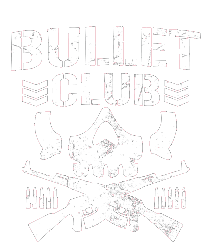 White and the Bullet Club would prove too much for the so-called ‘Dream Team’ however, and White rode a wave of momentum into 2019, beating Okada at Wrestle Kingdom 13, and then, shockingly, Tanahashi at New Beginning to become the youngest non-Japanese IWGP Heavyweight Champion in history. While White’s title reign would only last until April 6 when he was defeated in Madison Square Garden by Kazuchika Okada, there was no doubt that the Cut Throat Era had arrived.